I found the above article by Laura Petrecc which I though may interest readers of my blog. She talks about bullying, how often the first thought when bullying is mentioned is that of phyical form of bullying, next comes bullying within schools. Often overlooked is the fact that bullying also happens in the workplace. or anything that is physically manifested such as disability or difference in appearance or behavior. Work bullying does not restrict itself to that of colleagues but also comes from those who benefit from managerial positions. Click on the link above to read her full article. 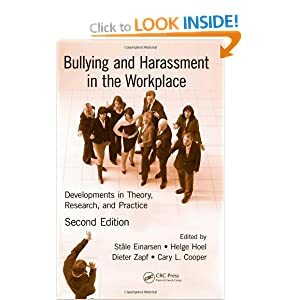 Many organisations including the public sector carry out staff surveys and sadly there is often a notable percentage of staff who have experienced or witnessed workplace bullying, additionally we often also see an percentage of staff surveyed who decline to comment on this. What is the reason why someone would decline to comment on a confidential staff survey? Is it because despite assurances from senior management that the workforce simply do not believe that ‘confidentiality’ is exactly that? Do managers foster insecurity within the workforce? Do employees live in fear that if they speak up because they or their colleagues are being bullied that, especially in the current financial climate, they would be putting their employment at risk of termination or that they themselves would also become a victim because they are speaking out in support of others? Many organisations have HR departments who are there to protect managers but who does the employee have to turn too? Many are told they can also turn to HR for assistance but how is the information utilised? Where there is a conflict how does the HR person deal with it if both sides of a situation are turning to them for advice or support? What is the percentage of staff who are experiencing stress and difficulties in the workplace which can be put down to the culture of the management and the way they run the organisation with focus purely on hitting targets and not valuing the workforce they have already or not investing in them? This entry was posted in Workplace and tagged bullying, disability, ethnicity, HR, HR departments, managers, public sector, race, sexual orientation, staff surveys, stress, wokplace, workplace bulling. When you think of bullies, you may think of the beefy kid at school pushing and shoving the runt of the class. But bullies are no longer consigned to the school playground. They can be found in the workplace lurking around office cubicles, behind counters and desks or loitering around the water cooler – and more than your lunch money could be at stake. Workplace bullying is not always overt; it can be subtle but insidious. It is a serious issue that not only causes a risk to the health and safety of the victim, but can also affect the whole business. And occasionally, as in the tragic case of 19-year-old Brodie Panlock who committed suicide as a response to workplace bullying, the consequences can be dire. Bullying is more common than many people realise, with WorkSafe’s annual research consistently showing that 14 per cent of Victorian workers had experienced bullying. While you may be extremely lucky to have a relaxed workplace, remember that not everyone shares the same sense of humour. People have different sensitivities and sometimes what is intended as playful joking can come across like a personal attack. Employees can be reluctant to tell employers how they feel for fear of causing trouble or losing their job. As an employer you may be unaware that bullying is taking place in your office, but it is your duty to provide a working environment that is safe and without risks to the health of your workers. It is also the responsibility of co-workers to speak up if they witness bullying in the workplace. Workers have a duty to take reasonable care for their own health and safety, as well as the health and safety of others in the workplace. They also have a duty to cooperate with actions their employer takes to comply with OHS laws. Bullying can come in many forms but can generally be defined as repeated unreasonable behaviour directed towards a worker or a group of workers that creates a risk to health and safety. Whether intended or not, bullying is an OHS hazard. Bullying behaviour can be direct and can run the gamut from verbal abuse and putting someone down to spreading rumours or innuendo about someone, or interfering with someone’s personal property or work equipment. It can also be indirect and includes behaviours such as unjustified criticism or complaints, deliberately excluding someone from workplace activities, deliberately denying access to information or other resources, withholding information that is vital for effective work performance, setting tasks that are unreasonably above or below a worker’s ability, deliberately changing work arrangements, such as rosters and leave, to inconvenience a particular worker or workers, setting timelines that are very difficult to achieve, and excessive scrutiny at work. 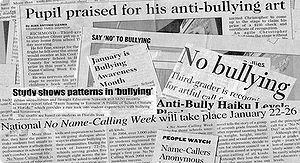 Bullying does not, however, include things like constructive feedback, downsizing or deciding not to select a worker for promotion. 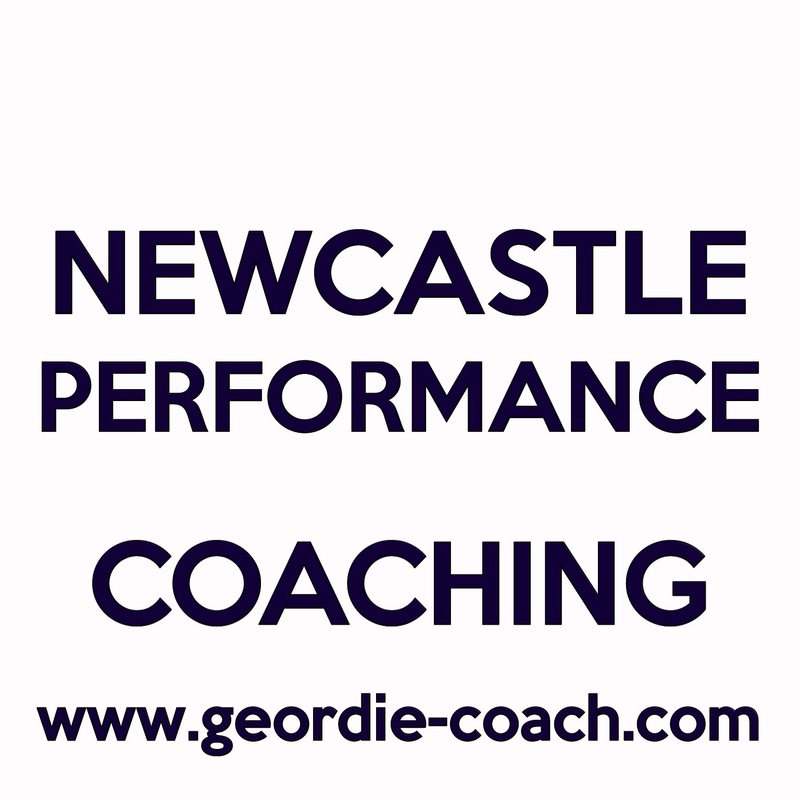 Bullying has profound effects on both individuals and organisations, leading to loss of productivity, high staff turnover, increased absenteeism, drops in employee performance, low morale and possible legal costs. These are not things that businesses can afford to ignore, either from a professional or ethical standpoint. Bullied individuals can be physically or psychologically damaged and are more likely to make mistakes that lead to injuries. They can also experience increased muscular tension and are more likely to develop occupational overuse syndromes and low back pain. Workplaces need to develop and implement a policy on bullying prevention that sets out standards of behaviour and clearly identifies inappropriate behaviour that will not be tolerated. Procedures should outline how reports of bullying will be dealt with and ensure that the process is objective, fair and transparent, as well as confidential. Sometimes a clear and polite request to stop the behaviour, which can be made by the person affected, their supervisor or manager, or another appropriate person, is all that is required to stop the bullying behaviour. The supervisor or manager should document the request and its outcome. In other cases, when the direct approach does not resolve the issue, mediation or discussion with a third party may be required. A neutral and independent person can assist resolution through discussion of the issues when all concerned parties agree to this approach. When a serious allegation has been made, a formal investigation should be conducted to determine if the report of bullying is valid. At the end of an investigation, recommendations should be made about the measures that should be undertaken to resolve the matter, with the outcome communicated to the involved parties in a fair and unbiased way. 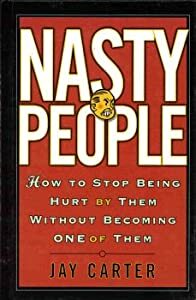 Join Valerie Cade as she explains the difference between working with workplace bullies vs. difficult people. Valerie is a workplace bullying expert, speaker and author of Bully Free at Work which is distributed in over 100 countries worldwide. Slide show about the ineffectiveness of most organization’s dealing with a workplace bully. This entry was posted in Workplace and tagged bullying, dealing with bullies, workplace bullies, workplace bully.